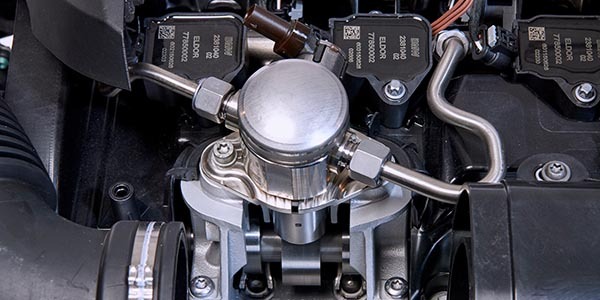 Direct injection is becoming standard on more and more late-model vehicles. These systems can be a diagnostic challenge but, with the right foundation, problems can be solved profitably. 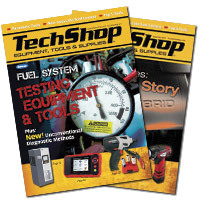 Years ago, all an entry-level technician needed to diagnose a fuel problem was a set of “noid lights,” a fuel pressure gauge and maybe a meter. These tools can’t be used on direct-injection systems because of higher pressures and changes in the injector location and technology. Voltages from the injector drivers can range anywhere from 30-120 volts depending on the system, and pressures can go as high as 2,300 psi. The go-to tool for direct injection will be a scan tool that can look at special direct fuel injection parameters and perform bi-directional tests.